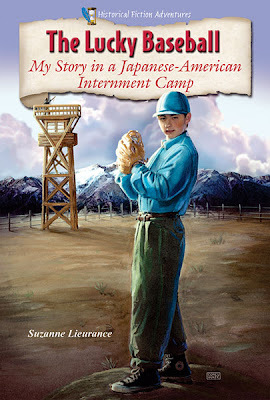 Enslow Publishers has proudly produced high-quality K-12 nonfiction books since 1976. We've also started to publish fiction suitable for young readers. Among our efforts are historical fiction works focusing on episodes in the American story. These tales feature young fictional characters who face dramatic challenges and meet exciting people through the course of a 160-page narrative. The books range in AR reading level from 4.5 to 7.0. 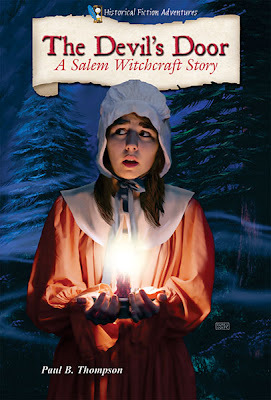 Subjects are as varied as the Salem witchcraft trial, the Civil War, and the construction of the transcontinental railroad. 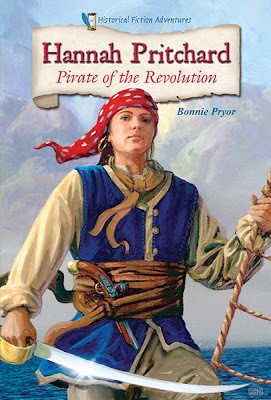 There's also a wonderful trilogy by author Bonnie Pryor based on the adventures of a female pirate, Hannah Pritchard. 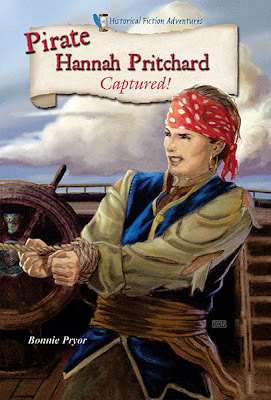 The titles include Hannah Pritchard: Pirate of the Revolution, Pirate Hannah Pritchard: Captured! and Captain Hannah Pritchard: The Hunt for Pirate Gold. Each of the ten books in Enslow's Historical Fiction Adventures is available in a library-bound edition for $20.95. That price, available to schools and public libraries, represents a 25% discount from Enslow's list price. 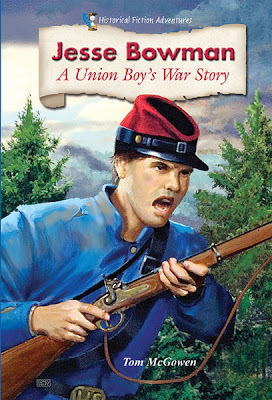 Celebrate the American spirit with Enslow's Historical Fiction Adventures! 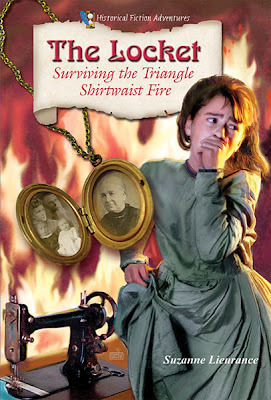 Enslow Publishers: Putting the Historical back in Historical Fiction! Here at Enslow Publishers, our goal and motto has always been: "Publishing the Best Nonfiction Books!" With that in mind, when we published our first historical fiction books in 2008, we made sure that our historical fiction closely followed historical fact. 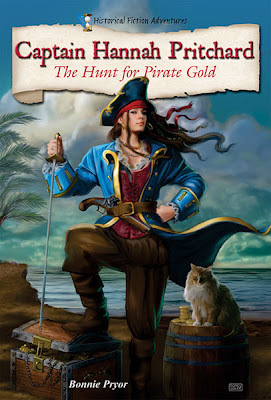 With the addition of Captain Hannah Pritchard: The Hunt for Pirate Gold this Fall, our Historical Fiction Adventures series now contains a total of 10 books. Having reached such a nice round number, it seems appropriate to put them all in one place. If any of these (extremely shiny) covers catch your eye, just click one to see more information on the book. Enjoy! Don't forget about our Pick-A-Page Giveaway this week only. Go to one of our e-catalogs and pick a page of titles you would like to receive for free. Like us on Facebook and leave a comment on Facebook, letting us know which page you would like to receive. We will choose one winner by random at the end of the week. That winner will be announced on Facebook on Monday! Enslow is celebrating the fact that the last book in the Hannah Pritchard trilogy has just been released. Captain Hannah Pritchard is now available. The first title, Hannah Pritchard, was published in 2008, and the second, Pirate Hannah Pritchard, in 2009. 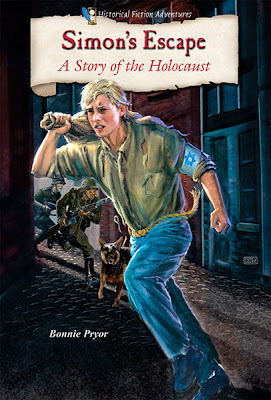 Written by Bonnie Pryor, these middle school titles take the reader from the beginning, when Hannah finds that her family has been murdered, to her imprisonment by the British, to her hunt for buried treasure. Elementary students may want to create pirate crafts using Pirate Ship Adventure Crafts. This title provides step-by-step instructions on how to make eleven simple pirate-themed crafts using easy to find materials. Create a ship, pirate crew, treasure chest, and more. It also includes a story for kids to tell with their crafts, or they can act out their own pirate story. Available in both library and paperback bindings, this title is part of the "Fun Adventure Crafts" series. "Drop Everything And Read Day," an annual event that occurs on April 12th, encourages families to spend at least thirty minutes in a reading activity. The day's organizers envision the day as an opportunity for children, in particular, to read something of their own choosing, rather than "required" academic reading. 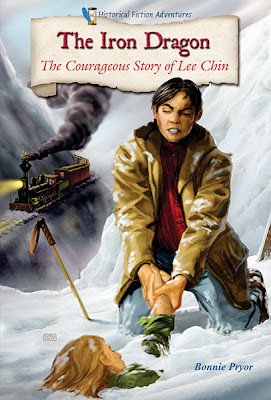 For kids looking for a way into exploring a blended world of the imagination and fact-based context, we suggest a title from Enslow Publishers' Historical Fiction Series. 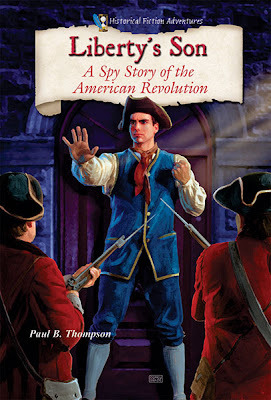 These 160-page books, such as Hannah Pritchard: Pirate of the Revolution, offer compelling narratives and vivid characters woven together with author Bonnie Pryor's accessible, age-appropriate writing style. Accelerated Reading scores for these books range from 4.7 to 7.0. Library-bound versions of all nine books in Enslow's "Historical Fiction Adventures" are available directly from Enslow Publishers for the discounted school/library price of $20.95. Selected titles are available in paperback for $14.95. Having written several titles in Enslow's Historical Fiction Adventures series, Bonnie Pryor's Hannah Pritchard titles have sold quite well for Enslow Publishers. Hannah Pritchard was published in 2008 and Pirate Hannah Pritchard was published in 2009. 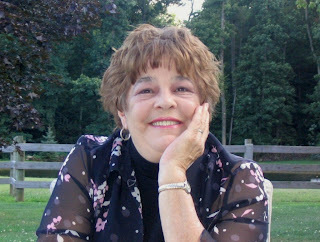 There will be a third Hannah Pritchard title, due out in fall of 2011. Watch for it!